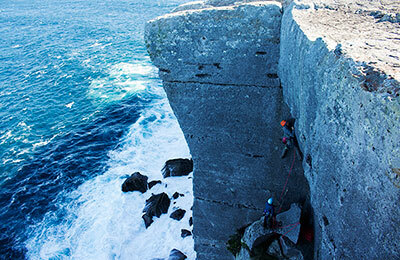 This Jervis Bay seacliff is one of the most spectacular places to climb in Australia. 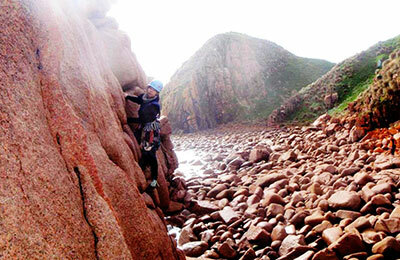 You can still climb when the weather gets cold and wet. 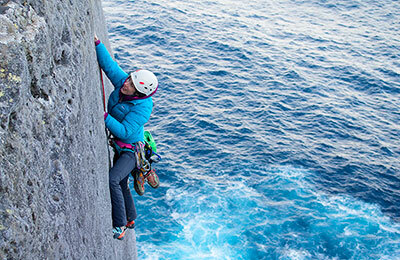 Is Women's-Specific Outdoor Gear For You? Mt Buller Ice Climbing: What's it Like? 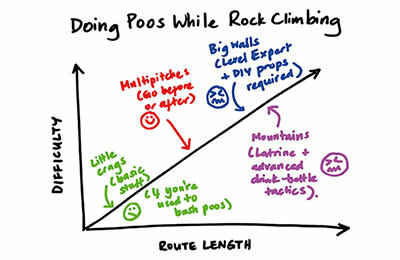 Going to the toilet outdoors when you're rock climbing: How to go about it the right way. 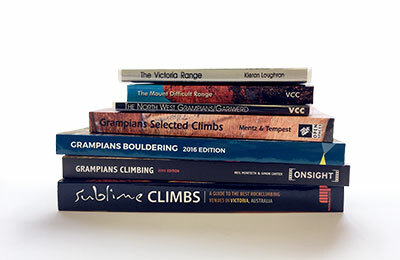 Which Grampians rock climbing guidebook should you get? 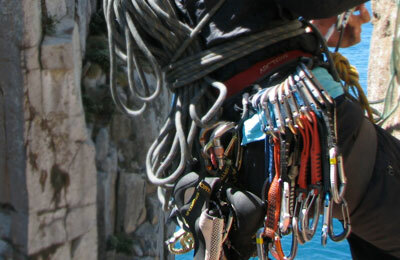 Best climbing ropes and how to choose. 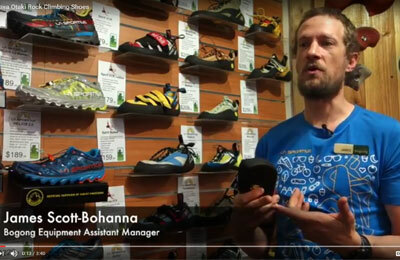 Bogong staffer James shares his thoughts on the La Sportiva Otaki rock climbing shoe. 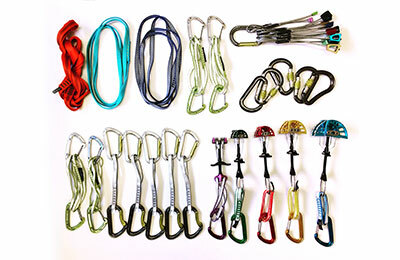 Basic elements: protection, carabiners and slings – how to make decisions on what type and how many of what you need. Bogong staffer Chelsea Brunckhorst reviews this classic rock climbing shoe. 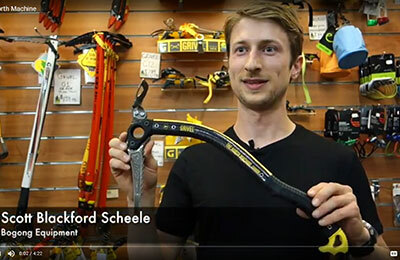 Bogong staffer Scott talks through the features of Grivel's North Machine Carbon Ice Axe. 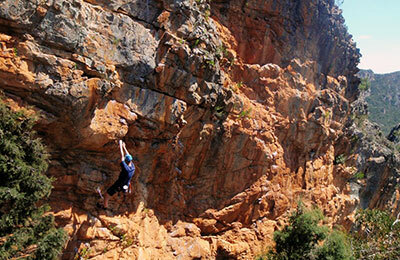 Choosing a pair of rock climbing shoes? Here are common questions people ask, answered by Bogong Equipment staffer James Scott-Bohanna. Wild Country Friends – the world’s first camming device made to protect rock climbs – revolutionised climbing when they were invented 40 years ago. Today, Wild Country continues to produce quality gear, introducing Wild Country New Friends. 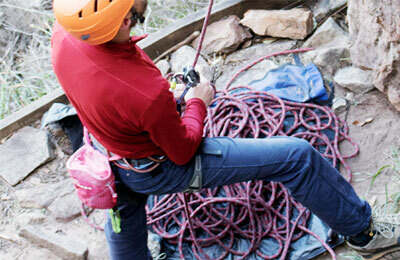 Choosing the best rock climbing harness to suit your needs is important. Here's a guide to some options. 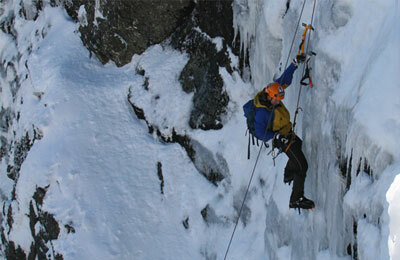 Ice climbing in Africa, on the continent’s second-highest mountain. Choosing the best rock climbing shoes for yourself can be a frustrating and painful process, especially if you’re buying your first pair. 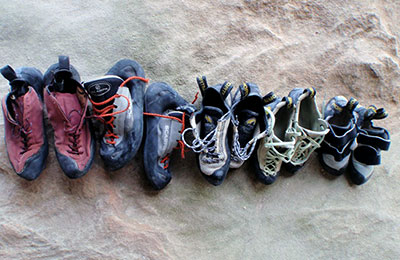 When you’re standing in front of a wall of climbing shoes, it can be difficult to know where to begin. We’ve written this guide to help you get started. 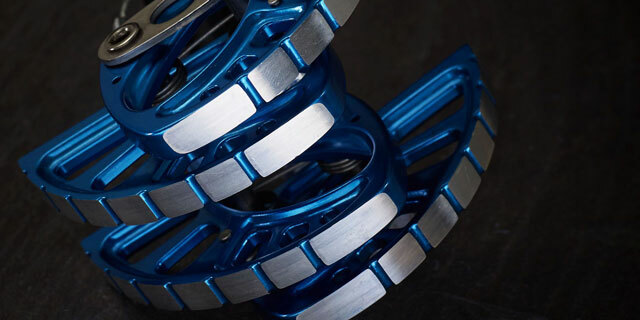 Wild Country have redesigned their cams, releasing a new generation called the New Friends. Striking a balance between staying true to their origins while proving that they are still an innovative market leader, they have come up with an intriguing spin on this iconic protection.